Cost-Benefit Analysis or Cost-Value Analysis? The Sydney Opera House is my favorite example when discussing what makes a project successful. Construction started in 1957 with a projected budget of seven million dollars. The Sydney Opera House was expected to be completed in 1963 but was completed in 1973 and over 94 million dollars in costs. Jorn Utzon, the original architect, resigned from the project in 1966 after severe criticism from the Australian government. So great was the animosity between Utzon and the Australian government that his name was not mentioned during the formal opening on October 20, 1973. Massively over-budget and way behind schedule, the Sydney Opera House should be considered a major project failure. However, Utzon won the highest honor in architecture (the Prizker Architecture Prize) in 2003 because of his design for the Sydney Opera House. The Sydney Opera House is beloved by the Australian people and, in 2007, became a UNESCO World Heritage Site. In its 45-year history, the Sydney Opera House has more than made up for its budget overruns and delayed opening. By a strict cost-benefit analysis performed on the opening of the Opera House, the project would have been considered a failure. Yet, the Sydney Opera House has evolved into a resounding success with great value to the Australian people. Mr. Sunstein recently published his argument for using cost-benefit analysis in deciding public policy issues. Currently a professor at Harvard, Mr. Sunstein was the Administrator of the White House Office of Information and Regulatory Affairs (OIRA) in the President Obama administration. As the OIRA Administrator, Sunstein reviewed all proposed federal regulation to determine if the benefits of the regulation outweigh the costs of the regulation. He speaks about his experiences at the OIRA office and how the cost-benefit approach was established under President Reagan. Sunstein argues that expressivism is responsible for the inability to resolve public policy issues. Sunstein defines expressivism as people focusing on the values inherent in the public policy issue. He argues that focusing on values causes unnecessary conflict and that the solution is to focus on the facts of a public policy issue. Cost-benefit analysis requires a real need for government intervention because of market failure and that the best people to intervene are the experts in the particular regulatory domain. Using cost-benefit analysis will increase welfare while respecting individual autonomy. A key concept in using cost-benefit analysis for public policy is the value of a statistical life (VSL). According to Sunstein, the value of human life is around nine million dollars. All regulations will involve the tradeoff between the cost of preserving life versus a loss of autonomy implied by the regulation. “If we want to be precise, the government is assessing the value of reducing statistical risks of death [italics in original],” writes Sunstein. The rest of his book explores the ramifications of his VSL approach to regulation. In his conclusion, Sunstein argues that the “cost-benefit revolution has produced immeasurable improvements. It has stopped bad things, spurred good things, and turned good things into better things.” However, he gives the caveat that cost-benefit analysis works when the analysis is done properly, and public officials followed the recommendations of the cost-benefit analysis. Sunstein’s book argues for using cost-benefit analysis in justifying the need for some government regulations. Even so, claiming that ALL government regulations should be justified by cost-benefit analysis conflicts with the values of the U.S. Constitution and democratic ideals. Sunstein, early in his book, assumes that regulation is only necessary to compensate for market failure. In Part II of the book, Sunstein considers how to apply cost-benefit analysis to values such as privacy or freedom of speech. Again, the decision still reduces to the cost of preserving the value versus the VSL. Sunstein is right that focusing only on the values in public policy can lead to indecision or bad decisions. Where Sunstein errs is the overreliance on the benefits of a proposed public policy. 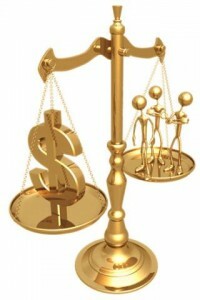 What is needed is a balance between benefits and value. It is difficult to predict the eventual benefits and values of public policy or regulation. As with the Sydney Opera House example, a public project could start as a tremendous failure. Over time, this same failure could emerge as a success. Or, a public project, such as the Apollo Moon landings could be considered not worth the costs because the direct benefits are not enough to justify the immediate costs. However, the indirect benefits such as the technological innovations of computer miniaturization and advanced manufacturing technologies. Costs can be immediately quantified and calculated. In the project management world, costing methods are mature and robust. Determining the benefits of a project is still evolving as reflected in the discipline of benefits realization management (PDF). What is missing in Sunstein’s cost-benefit analysis is the time element. Without sufficient time for benefits to appear, the value of a public regulation or project can be erroneously assessed. Author: Bill Brantley teaches at the University of Louisville. He also works as a Federal employee for the U.S. Patent and Trademark Office. All opinions are his own and do not reflect the opinions of his employers. You can reach him at http://billbrantley.com.